Should we be stroking From Software's sword? 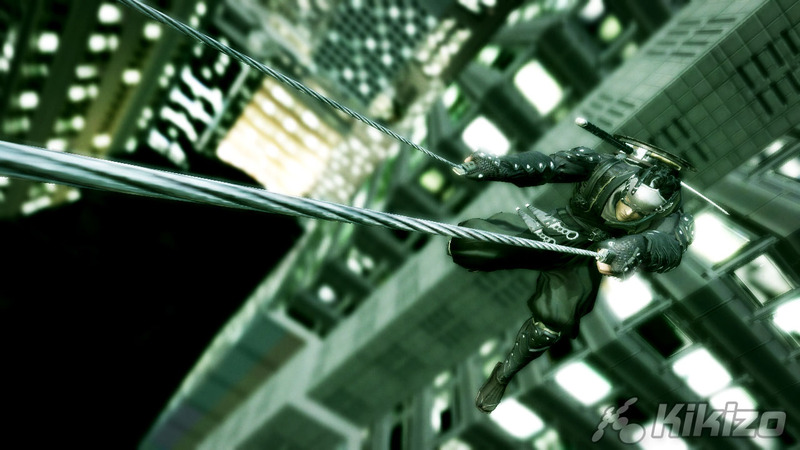 We hit B to not die - repeatedly - in its QTE-laced ninja adventure. Slaughtered foes detonate into cascades of coloured orbs which restore your health and let you upgrade your weapons and equipment. Lacing together the mob battles and pattern-based boss encounters are cursory bits of bar-swinging and wall-running (the latter unpleasantly glitchy). If you hit a dead-end, tapping left bumper opens up infra-red Ninja Vision, with all waymarks, scalable walls and nefarious invisible foes flagged in blue or white. Ninja Vision also serves as a bare-bones Bullet Time mode, screwing your reflexes tight at the cost of reduced damage resistance and a rapidly diminishing Chi bar. Chi fuels your shuriken attacks, mapped to B, which come in a few elemental flavours (toggled with right bumper). The wind shuriken can be charged and thrown in a line by holding the button down, or used to create a protective vortex by tapping it. Lightning shurikens paralyse their targets, while fire shurikens set them ablaze. Set piece battles inevitably require you use your shuriken and regular attacks in tandem, blowing out the flames that engulf an ogre before showing him the edge of your sword, or electrifying ranged zombies to stop them blasting you out of a wall-run. If Tecmo's thumbprint is evident at a glance, the further I got into Ninja Blade the more it reminded me of Heavenly Sword. The three swords you acquire in the first mission feel very similar to the three different forms of Nariko's piece: the Oni-Slayer Blade is your balanced, mid-range, medium-speed default, the Stonerender Sword is cumbersome but hits like a howitzer, and the Twin Falcon Knives fly out on steel wires to lacerate distant foes. 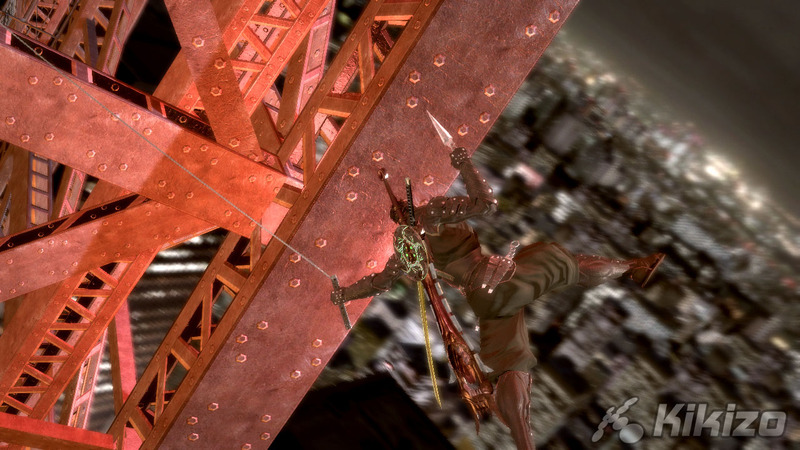 In terms of balancing, however, Ninja Blade isn't quite in the same league as Ninja Theory's shallow but well-knit PS3 classic. Delicious though they are in action, the Twin Falcon Knives pack a negligible punch and are really only essential when deflecting projectiles. The Stonerender, by contrast, is a tad over-powered despite its turgid swing - most bosses and foes can be seen off with repeated ground-pounds - and the speed and versatility of the Oni-Slayer encourages button-mashing rather than dabbling within the respectable combo tree. Still, it all looks the business (despite a spotty frame-rate) and there's a satisfying sense of kinetic feedback. Minor foes can be finished off with one or two-hit QTEs mid-battle for additional flair. In a more noticeable departure from Heavenly Sword, the plot is a big heap of ninja doggie-do. Tokyo has been afflicted by a mysterious monster-creating virus, but exactly why or how is anyone's guess. There's some stuff about your character's dad turning evil and a tremendously irritating mop-haired henchman. I spent most of the cut scenes trying to work out whether main character Ken, who alternates between American English and Japanese, had two different voice actors. 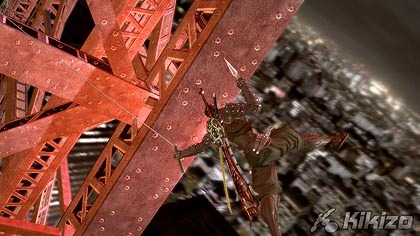 Ninja Blade is certainly a game with two different sides, but fortunately each side has enough to recommend it - the glamour of the QTEs, the workmanlike derivativeness of the combat - that you can forgive this rather jarring division. Outside of the marvellous Armoured Core series, this is probably From Software's most capable title yet. THE VERDICT: Like QTEs? Buy Ninja Blade. 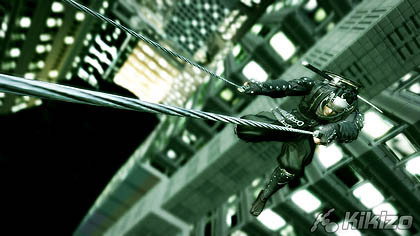 Like Ninja Gaiden? Buy Ninja Blade. 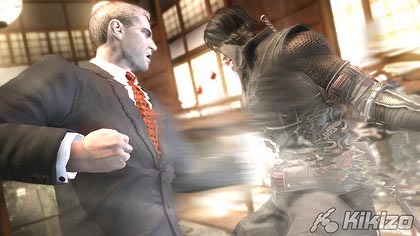 Like Ninja Gaiden but dislike QTEs? Buy Ninja Gaiden. Sorted.